January in Japan: I failed to submit a report last month, so I would like to make up for it with a review of the first month of professional go in Japan this year. Kato to Challenge for Women’s Meijin: Kato Keiko 6P (right) hung on to her lead in the 26th Women’s Meijin League and will challenge Xie Yimin for the title. In the final round, held on January 9, she beat Okuda Aya 3P (W) by half a point to end up on 5-1, one point clear of the field. The match starts on March 5. Actually, this was Kato’s first game for three months. As mentioned in an earlier report, she took the winter off to have her second child. This is Kato’s first title match for six years (she lost the 20th Women’s Meijin title to the challenger, who was Xie Yimin). She won the title the previous term and the 10th Strongest Woman Player title in 2008. She is married to Mizokami Tomochika 8P. Other results in the final round: Mukai Chiaki, Women’s Honinbo, (W) beat Yoshida Mika 8P by resig. ; Suzuki Ayumi 6P (B) beat Chinen Kaori 4P by 3.5 points. Mukai and Suzuki, both on 4-1, took 2nd and 3rd places respectively. The other player to keep her place in the league was Chinen, on 3-3. Okuda (1-5), Yoshida (2-4), and Ishii Akane 2P (2-4) all dropped out. Yamashita Leads In Honinbo League: A win over Yuki Satoshi at the end of last year gave Yamashita Keigo (left) a share of the lead with Kono Rin in the 69th Honinbo League; both were on 3-0 and were the only undefeated players. However, in the fourth round, played in January, Yamashita beat league newcomer Yo Seiki while Kono lost to Cho U, so Yamashita now has the sole lead. The other league newcomer, Ida Atsushi, shares second place with Kono and Cho U. Games played since my last report are given below. (26 December) Yamashita Keigo 9P (W) beat Yuki Satoshi Judan by resig. (January 9) Ida Atsushi 7P (B) beat Takao Shinji 9P by half a point. (January 16) Cho U 9P (W) beat Kono Rin 9P by half a point; Sakai Hideyuki 8P (B) beat Yuki Satoshi by resig. (January 23) Yamashita (W) beat Yo Seiki 7P by resig. Meijin League: Three of the four games in the second round of the 39th Meijin League were played on January 9. At this point, Kono Rin (right) has the provisional lead with 2-0, but the winner of the fourth game, between Yamashita Keigo and Takao Shinji, will draw even with him. (January 9): Kono Rin 9P (B) beat Hane Naoki 9P by resig. ; Cho U 9P (W) beat Murakawa Daisuke 7P by resig. ; Ko Iso 8P (W) beat Yuki Satoshi Judan by resig. Iyama Misses Shot at Grand Slam: Recently, with Iyama Yuta (left) holding six titles, there had been a lot of speculation about whether he would become the first player to score a genuine grand slam of the top seven titles, that is, holding them all concurrently instead of cumulatively. In the past, players have not been able to maintain a big tally of concurrent titles for very long because of the wear and tear of constant title matches, so if Iyama is going to have a try at it, the sooner the better. This year he seemed to have a good chance, as he had reached the play-off to decide the challenger for the only top-seven title he didn’t have, the Judan, and his opponent was a player, Takao Shinji, against whom he had a very good record. The play-off was held on Iyama’s home ground, at the Kansai Headquarters of the Nihon Ki-in, on January 23. The game was a difficult one, with a series of swaps, but Takao, playing white, prevailed by 5.5 points. Takao gets a chance to win back the title that he lost to Cho U in 2009. To keep the dream alive, Iyama will have to try again next year, but he must first defend all his titles this year. There is no precedent in Japan for such a long winning streak in title matches. The first game of the title match between Takao and Yuki Satoshi Judan will be played on March 4. Chisato Cup: This is a special tournament being held to commemorate the 25th anniversary of the founding of the Chisato corporation, which makes uniforms, helmets, and various other work-related items. Participants were 16 young players recommended by the sponsor. First prize is two million yen. The time allowance is the same as for the NHK Cup, that is, 30 seconds per move plus ten minutes extra time in one-minute units. The first two rounds were held on January 17th and the following players have reached the semifinals: Suzuki Shinji 4P, Hirata Tomoya 3P, Kimoto Katsuya 2P, and Fujisawa Rina 2P. Fujisawa is the granddaughter of Fujisawa Shuko. The semifinals and final will be held on March 1 and 2. Xie Defends Women’s Kisei: On her previous challenge, two years ago, Aoki Kikuyo 8P managed to take the Women’s Kisei title from the Xie Yimin (right) , the top woman player in Japan. Xie regained the title last year, but Aoki was back again as challenger. This time she did not do so well, however, and Xie has defended her title with straight wins. The first game was played on January 23; taking white Xie forced a resignation. In the second game, played on January 30, Xie had a different color but the result was the same, a resignation by Aoki. Actually, Aoki had the better of it for most of the first game; after a severe attack, she had a large enemy group at her mercy, but she failed to deliver the coup de grace. This is Xie’s 17th title. In January every year there are a number of promotions for the top prize-money winners of the previous year among players from 1- to 6-dan. The following promotions became effective on February 1. To 7-dan: Shida Tatsuya (only the top 6-dan is promoted); To 6-dan: Kawada Kohei, Ohashi Naruya; To 5-dan: Tajima Shingo, Sakamoto Yasuo; To 4-dan: Ichiriki Ryo, Muramatsu Hiroki; To 3-dan: Kimoto Katsuya, Adachi Toshimasa; To 2-dan: Kikuchi Masatoshi, Onishi Kenya. The British Go Association has announced that the Nihon Ki-in are to send two professionals to the UK in February/March 2014. Minematsu Masaki 6p and Kobayashi Chizu 5p will make a teaching tour of the country and will attend the European Youth Go Congress(EYGC) in Bognor Regis. They will visit the European Youth and British Go Congress over the weekend of Feb 28/March 3; during the preceding week they will visit Oxford Go Club, and during the following week Chizu Kobayashi will visit Edinburgh Go Club. In other EYGC news, the winner in the Under-20 category will this year gain a place in the new GLOBIS Cup World Youth Go Championship, to be held in Japan on 8 – 11 May 2014 (see Nihon Ki-in Announces New Under-20 World Tourney, EJ 11/30). - Tony Collman, British correspondent for the E-Journal. Aoki To Challenge For Women’s Kisei: For the third year in a row, the Women’s Kisei title will feature a clash between Aoki Kikuyo 8P (right) and Xie Yimin. 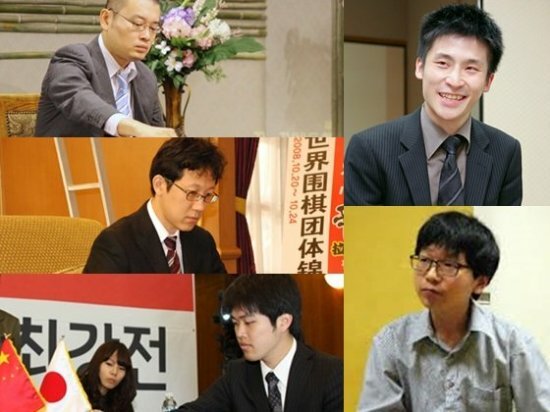 The play-off to decide the challenger was held at the Ryusei Studio, a TV studio for the cable TV go and shogi channel located in the basement of the Nihon Ki-in at Ichigaya in Tokyo, on December 16. Taking white, Aoki defeated Ishii Akane 2P by resignation after 256 moves. Aoki won this title from Xie in 2012, but lost it back in 2013. The best-of-three title match for the 17th title will begin on January 23. Iyama Keeps Grand Slam Dreams Alive: Iyama Yuta played an important game on December 17. If he is to have a chance of scoring a full-fledged grand slam next year, he first of all has to become the challenger for the Judan title, the only one of the top seven not in his keeping. To do this, he needed to win two more games. The first was the semifinal, held on the 17th. 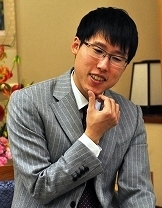 Taking black, he defeated Mizokami Tomochika 8P by resignation, so he has reached the play-off to decide the challenger. His opponent will be the winner of the other semifinal, Takao Shinji 9P. First Round Of Meijin League Completed: Two games in the 39th Meijin League were played in mid-December, completing the first round. On the 16th, Takao Shinji 9P (B) defeated Yuki Satoshi Judan by resignation. On the 19th, Kono Rin 9P (W) beat Ko Iso 8P, also by resignation. Honinbo League Update: On December 19, two games were played in the 69th Honinbo League. Cho U 9P defeated league newcomer Ida Atsushi 7P (left) by just half a point to secure a plus record. He and Ida are both on 2-1. The other league newcomer, Yo Seiki 7P, picked up his first win after starting with two losses. Taking black, he beat Sakai Hideyuki 8P by 3.5 points. Women’s Meijin League: One game was played in the 26th Women’s Meijin League on December 19. Ishii Akane 2P (B) beat Okuda Aya 3P by resignation, but both players have lost their places in the league. The top four keep their places, but four players already have three wins, so Okuda, now on 1-4, can’t catch up. Ishii is on 2-4 and has played all her games; she has a bye in the final round. Kato Keiko 6P leads the league on 4-1. Korea Wins New International Tournament: Yet another new international tournament has been founded in China (there are so many now that it’s hard to keep track). The latest arrival is the Zhugang Cup World Weiqi Team Championship, organized by the Chinese Weiqi Association and the Guangzhou City Physical Education Congress. Presumably Zhugang is the name of the sponsor, but I have no information about this. The new tournament is for three-player teams, who play one-on-one games up to the final. The first Cup was held from December 20 to 25, starting with a preliminary round on the 20th, followed by a ranking tournament from the 22nd to the 24th to decide the 16th to 5th places. The top four teams met in semifinals and the top two played a final, all on the 25th; uniquely for an official tournament, the final took the form of a consultation game, with the players on each team conferring about their moves. There were some famous consultation games in prewar Japan, but they were not in official tournaments. Another novel feature of the tournament is that Japan, China, and Korea each fielded a second team, made up of players who had won international tournaments. These are the teams with “W” after the country’s name (“W” seems to be short for “wild cards”). First of all, here are the placings in the ranking tournament (ties were broken by win totals). In the play-off for third place, held on the same day, China W beat Korea W 3-0. 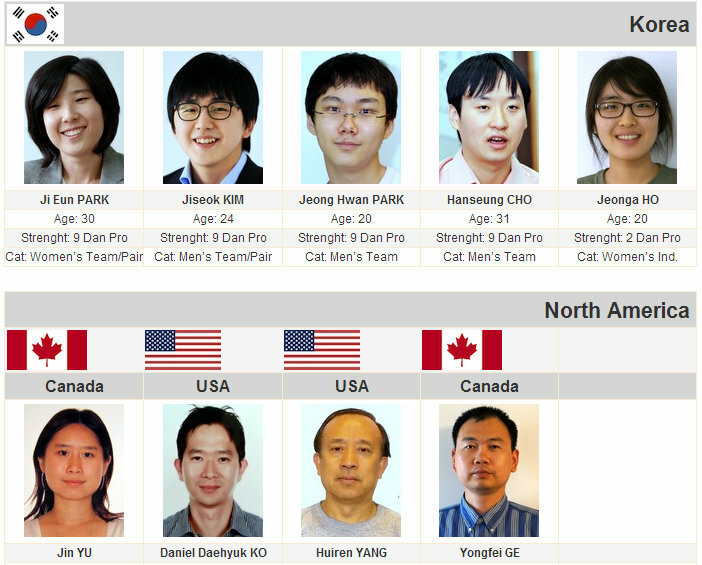 The individual results here were as follows (all players are 9P): Gu Li (B) beat Cho Hun-hyeon by resig. 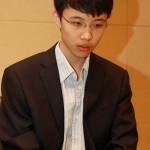 ; Chang Hao (W) beat Yu Ch’ang-hyeok by 7.5 points; Kong Jie (B) beat Yi Ch’ang-ho by resig. Just for the record, the Japan W team, which ended above the regular team, was made up of Kobayashi Koichi, Cho Chikun, and Takemiya Masaki. The members of the regular team were O Meien, Ryu Shikun, and Mizokami Tomochika. 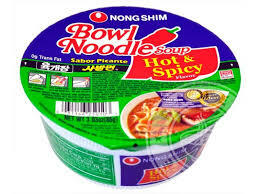 Japan Eliminated from Nong Shim: As reported last week, Japan made a bad start to the second round, held in Pusan, of the 15th Nong Shim Spicy Noodles Cup when its third player, Kono Rin 9P, was eliminated. Yuki Satoshi 9P also lost his first game, so it looked as if Japan might suffer the ignominy of going winless. Cho U averted that with a good win, but he lost the final game in the round, so the Japanese team has been eliminated. The experiment of blooding two young and inexperienced players (Yo Chito and Anzai Nobuaki; see our report on the opening round, played October 22-25) has not been a success, though in their defense one has to say they didn’t do much worse than their seniors. The final round will be played in Shanghai from February 25 to 28. 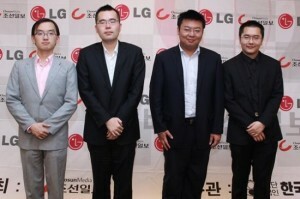 China has three players left and Korea two. Results for the remaining games in this round follow: Game 6 (Dec. 3). Chen Yaoye 9P (China) (B) defeated Kang Tong-yun 9P (Korea) by resig. Game 7 (Dec. 4). Chen (B) d. Yuki Satoshi 9P (Japan) by resig. Game 8 (Dec. 5). 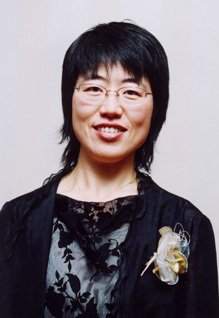 Chen (B) d. Ch’oe Ch’eol-han 9P (Korea) by 18.5 points. Game 9 (Dec. 6). Cho U 9P (Japan) (B) d. Chen by resig. Game 10 (Dec. 7). Kim Chi-seok 9P (Korea) (W) d. Cho by resig. photos courtesy Go Game Guru; click here for more Nonshim reports, photos and game records. China Wins 15th Agon Kiriyama Cup Play-Off: For the 11th year in a row, China has won the annual play-off between the holders of the Japanese and Chinese versions of the Agon Kiriyama Cup, which is sponsored by the Agon Buddhist sect. The game was held in Hangzhou City on December 3; taking white, Lian Xiao 4P of China defeated Murakawa Daisuke 7P of Japan by resignation after 164 moves. Unusually Strong Meijin League Starts: The 39th Meijin League started with a game between two heavyweights, Yamashita Keigo 9P and Hane Naoki 9P, on December 5. Playing white, Yamashita made a good start with a win by resignation. Go Weekly made an interesting observation. All the members of the quartet that dominated the first decade of this century, Yamashita, Hane, Cho U, and Takao Shinji, are present in this league. That is probably quite unusual for a league, as usually one of these players is Kisei, Meijin or Honinbo. There are joined by two other top players from recent years, Kono Rin and Yuki Satoshi, so that makes this year’s Meijin League a very strong one. The other three players are Ryu Shikun, Murakawa Daisuke, and Ko Iso. One of the nine players will have the unenviable task next September of challenging Iyama Yuta. Women’s Meijin League: Two games in the 26th Women’s Meijin League were played on December 5. Newly-minted Women’s Honinbo Mukai Chiaki (B) beat Suzuki Ayumi 6P by resig. and Yoshida Mika 8P (W, at right) beat Chinen Kaori 4P by 10.5 points. For Suzuki, this was her second loss, so she dropped out of a theoretical tie with Kato Keiko 6P (on 4-1) for first. Mukai and Suzuki are both on 3-2, so they still have a chance if Kato stumbles in the final round. Promotion: A win on December 5 was Yoshioka Kaoru’s 150th as 7-dan, so it earned him promotion to 8-dan. Second Round Of Nong Shim Cup Starts: Japan has made a bad start in the second round of the 15th Nong Shim Spicy Noodles Cup, which is being played in Pusan, Korea. In Game 5, played on December 2, Kang Tong-yun 9P of Korea (W) defeated Kono Rin 9P by resignation. Japan has yet to score a win, and only Yuki Satoshi 9P and Cho U 9P are left. Severe Penalty For Lateness: Unfamiliarity with Tokyo trains cost Arakaki Shun 9P of the Kansai Ki-in nearly one half of his time allowance in a game at the Nihon Ki-in on November 21. Arakaki got on a train going the wrong way on the Yamanote loop line and so was 27 minutes late. According to the rules, the time a player is late is tripled and deducted from the time allowance. With the one minute Arakaki actually spent on his first move thrown in, that meant that he lost one hour 22 minutes out of three hours on his first move. Not surprisingly, he lost the game. Oka Mitsuo 7P died on November 19. Born on August 10, 1932, Oka became a disciple of Segawa Yoshio 9P. He turned professional in 1962 and reached 6-dan in 1978. He retired in 1998 and was promoted to 7-dan. Yo Chito was promoted to 2-dan on November 29. The fifteen-year-old Yo made his international debut recently as a member of Japan’s Nong Shim Cup team. Newcomer Makes Good Start In Honinbo League: Three players are undefeated after two rounds in the 69th Honinbo League. Two of them are heavyweights, Yamashita Keigo 9P and Kono Rin 9P; the surprise is that the third is league newcomer Ida Atsushi 7P (right). 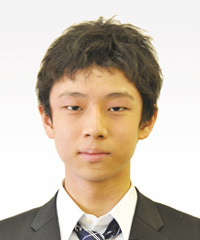 Born on March 15, 1994, Ida started out the year as a 4-dan, but jumped to 7-dan when he won a Honinbo seat. 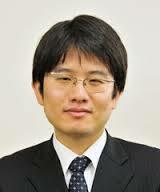 He is a member of the Central Japan (Nagoya) branch of the Nihon Ki-in. Ida’s second win came on November 14, when, playing white, he beat Yuki Satoshi 9P by resig. Ichiriki Wins Young Carp Tournament: The 8th Hiroshima Aluminium Cup Young Carp Tournament, open to Nihon Ki-in players 30 and under and 6-dan and under, was held on November 16 and 17. It was won by the sixteen-year-old Ichiriki Ryo 3P (left). Playing white in the final, he defeated Fujita Akihiko 4P, holder of the King of the New Stars title, by resignation. 26th Women’s Meijin League: In a game played on November 14, Chinen Kaori 4P (W) beat Okuda Aya 3P by 2.5 points. This extended Chinen’s score to 3-1, bringing her level with Suzuki Ayumi 6P. The league leader is Kato Keiko on 4-1. In another game, played on November 20, Yoshida Mika 8P picked up his first win by beating Ishii Akane 2P; Yoshida had black and won by resignation. Aoki vs. Ishii In Women’s Kisei Play-Off: In the semifinals of the 17th Women’s Kisei tournament, held on November 18, Ishii Akane 2P (B) beat Chinen Kaori 4P by resignation and Aoki Kikuyo 8P (W) beat Konishi Kazuko 8P, also by resignation, so Ishii and Aoki will meet in the play-off to decide the challenger to Xie Yimin. Mukai Finally Beats Xie: Mukai Chiaki (right) has finally succeeded in a title challenge to Xie Yimin. In the fifth game of the 32nd Women’s Honinbo title match, held at the Nihon K-in in Tokyo on November 27, Mukai (B) beat Xie by resignation after 251 moves. This was an impressive win for Mukai, as she spent a large part of the game under severe pressure. She made a reducing move that was a little too deep, and for the next 100 moves or so a large group of hers was harried and harassed by Xie. Spectators thought that Xie would win, but Mukai found a brilliant move that secured a link with another group. Xie is the one known for staging upsets in tough positions, but here she was on the receiving end. This win earned Mukai her first title after six unsuccessful challenges, five of them to Xie. The latter is now reduced to two titles. Hane Defends Okan Title: The Okan or Crown title decides the top player at the Nagoya branch of the Nihon Ki-in. The 54th title match (just one game) was held on November 29. Hane Naoki (B) defeated the challenger, Nakano Hironari 9P, by resignation after 237 moves. This is Hane’s tenth Okan title. His father, Hane Yasumasa, also won it four times; as far as I know, this is the only case of two players in the same family winning the same title. All-Chinese Final In LG Cup: The quarterfinals and semifinals of the 18th LG Cup were held in Inch’eon City in Korea on November 11 and 13. Chinese players had dominated the tournament so far, taking six of the eight quarterfinal places, but for once Japan had done better than Korea, with Takao Shinji and Iyama Yuta taking the other two places. However, this was as far as their luck held out, as they were both eliminated in the quarterfinals. 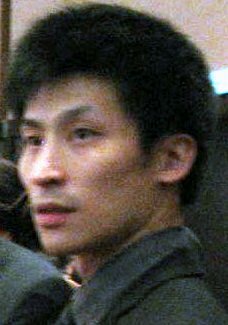 Quarterfinal results, Nov. 11: Chen Yaoye 9P (China) (B) defeated Iyama Yuta 9P (Japan) by resignation; Tuo Jiaxi 3P (China) (B) d. Takao Shinji 9P (Japan) by 4.5 points; Li Zhe 6P (China) (W) d. Xia Chenkun 2P (China) by resig. ; Zhou Ruiyang 9P (China) (B) d. Li Qincheng 1P (China) by resig. Yamashita To Challenge For Kisei Title: The play-off to decide the challenger to Iyama Yuta for the 38th Kisei title was held at the Nihon Ki-in in Tokyo on November 14. Playing white, Yamashita Keigo 9P forced Murakawa Daisuke 7P to resign after 144 moves. Yamashita has won the Kisei title five times, first in 2003 and then from 2006 to 2009. This will be his chance to seek revenge for his loss of the Meijin title to Iyama this year. The first game will be played in Alcala de Henares, near Madrid, in Spain on January 11 & 12. With a first prize of 45 million yen (nearly $440,000 USD), the Kisei is Japan’s richest title. Iyama Defends Tengen Title: The third game of the 39th Tengen title match was held at the Yutoku Inari Shrine in Kashima City, Saga Prefecture on November 28. Iyama Yuta (W) defeated Akiyama Jiro 9P by resignation after 176 moves, so he defended his title with straight wins. This is his third successive Tengen title; he now has a winning streak of nine wins in the Tengen. 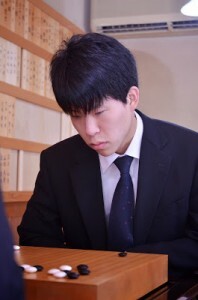 Cho U Picks Up First Win In Oza Title Match, But Iyama Defends: Games Two and Three in the 61st Oza title match were held in quick succession at the Saryo Soen inn in Akiu Hot Spring, Sendai City, Miyagi Prefecture. It’s quite unusual to hold two games from a title match in a row at the same venue outside Tokyo; it was made necessary, of course, by Iyama Yuta’s crowded schedule. 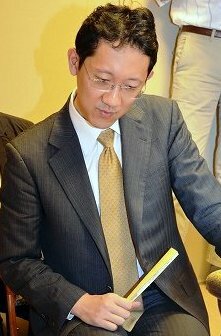 The second game was played on November 19; taking black, Iyama won by resignation after 243 moves. This gave him a 2-0 lead over the challenger, Cho U 9P. It looked as if the match might end very quickly, as the third game was played on the 21st, with only one day’s break. However, Cho (right) played a masterly game with black and forced a resignation after just 161 moves, making the series a lot more interesting. This was the fourth time two games have been played in a row like this and the first time the wins have been shared. The fourth game was played at the Sanyoso inn in Izu-no-kuni City, Shizuoka Prefecture on December 2. Taking black, Iyama won by resignation after 221 moves, so he defended his title with a 3-1 score. This is his second successive Oza title and it maintained his current tally at six of the top seven. He has also taken his overall tally to 22, which is even with O Rissei and Hane Naoki in 13th place. The Oza title match was the last of the tournament year. This is the first year since 2001 that Cho U has failed to win a title. Iyama has proved to be his nemesis, but he is too good a player not to make a comeback. Incidentally, Iyama’s six first prizes and his TV Asia win have earned him 152.5 million yen $1.5 million USD). Various match fees and game fees have to be added to this, so his final total should be a new record by a big margin. Iyama Reaches Judan Semifinals: The significance of this news item is that Iyama is keeping alive his chances of becoming the first player ever to win a genuine grand slam, that is, all seven titles in one year. To do so, he needs to become the Judan challenger and then to win it after defending his Kisei title at the beginning of next year. Iyama’s opponent in the semifinal is Mizokami Tomochika 8P. The other semifinal matches Hane Naoki against Takao Shinji. CORRECTION: The Kisei first prize of 45 million yen has been updated to reflect that it’s worth nearly $440,000 USD, not the $300,000 originally reported. The third edition of the SportAccord World Mind Games is set for December 12-18 in Beijing. The American Go E-Journal will once again team up with Ranka to provide coverage this year, with Michael Redmond 9P and EJ Managing Editor Chris Garlock providing play-by-play game commentary on the SAWMG YouTube channel as well as coverage in the EJ. Thirty players (18 men and 12 women) from around the world — China, Chinese Taipei, Europe, Japan, Korea and North America — will compete for major cash prizes; click here to see the player roster and schedule.